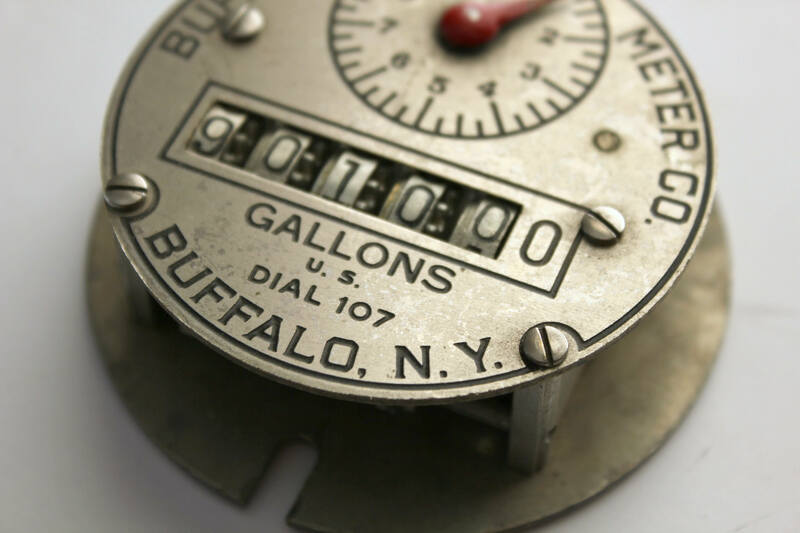 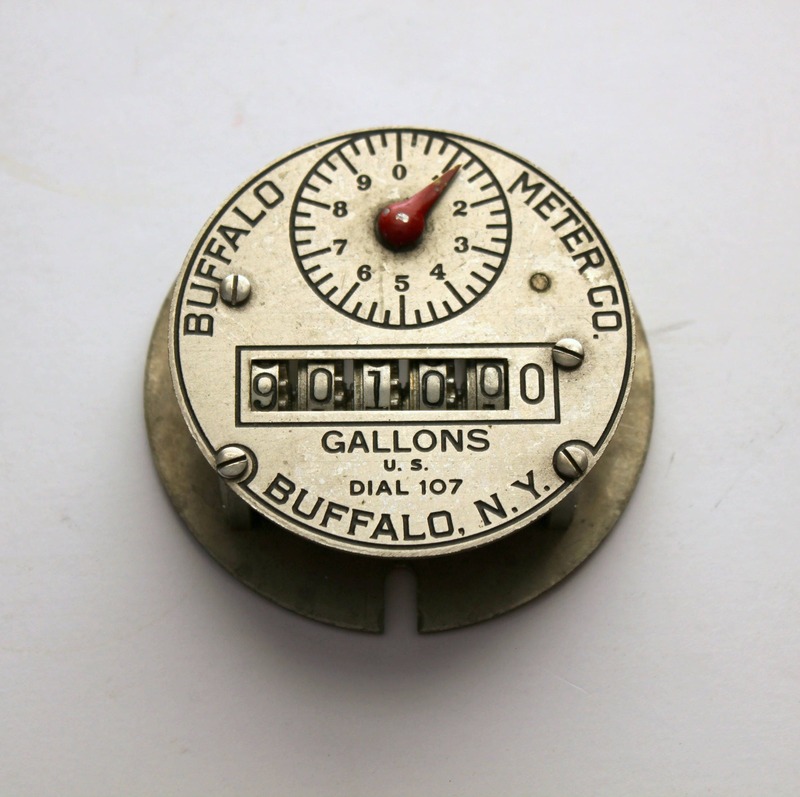 This is a vintage Buffalo Meter Co. dial 107 with US Gallons measurement for water pumped, we assume. 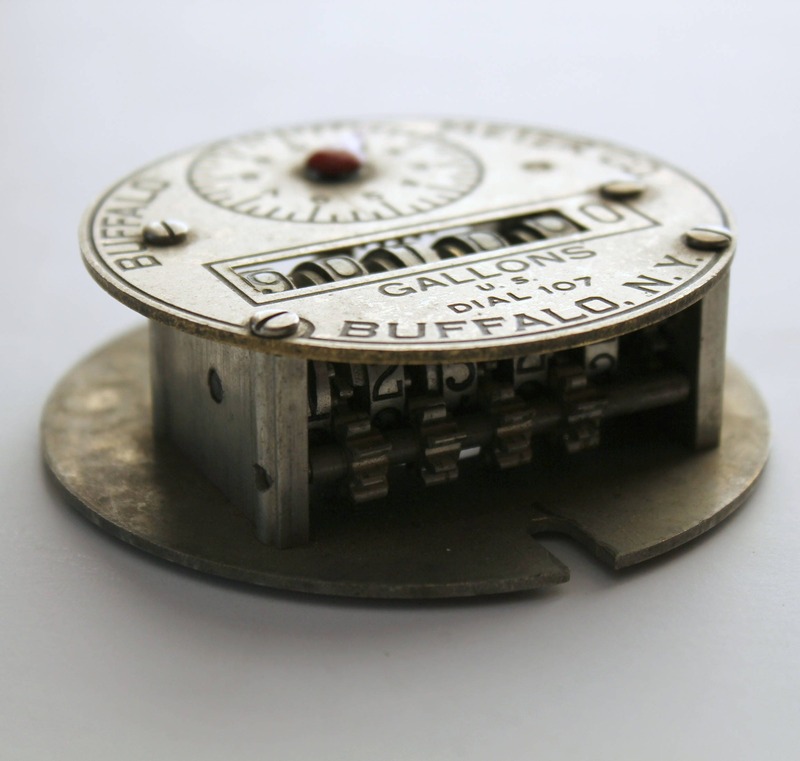 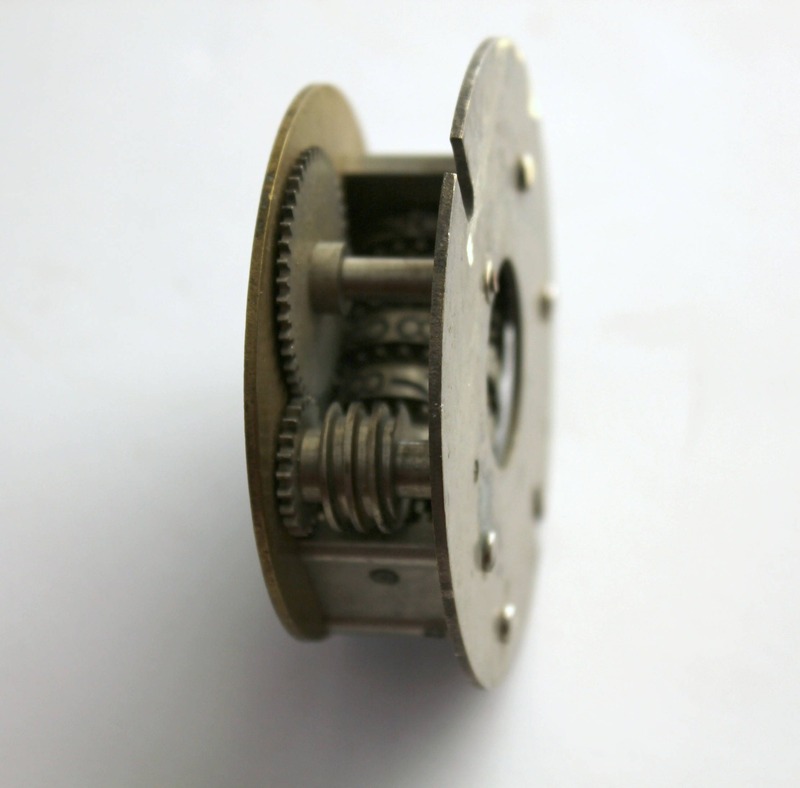 It measures 2.5" across the front and about 3" across the back. 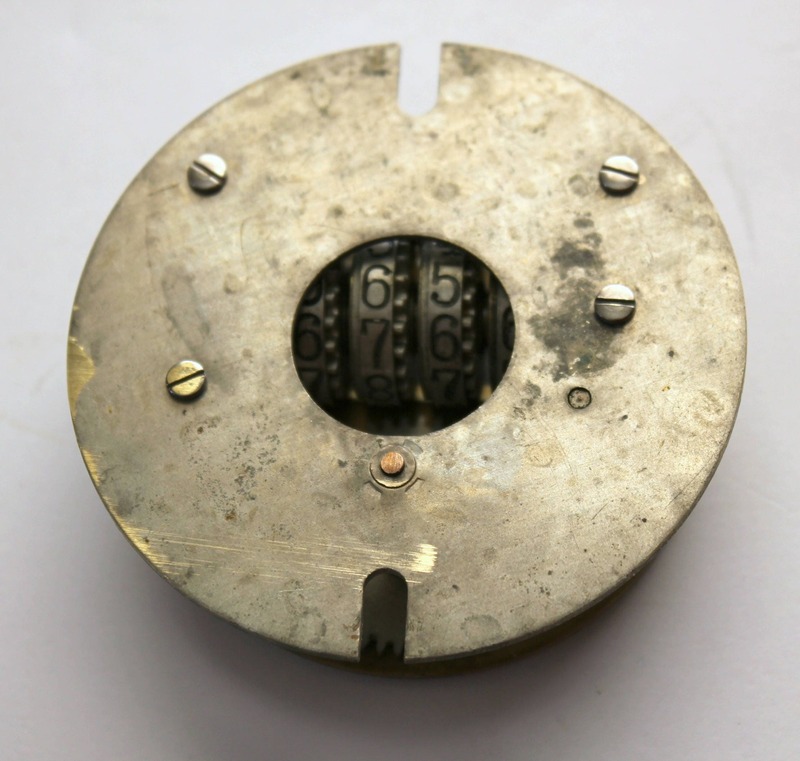 Five place number dial, all metal with some signs of wear and age, but overall in nice shape.